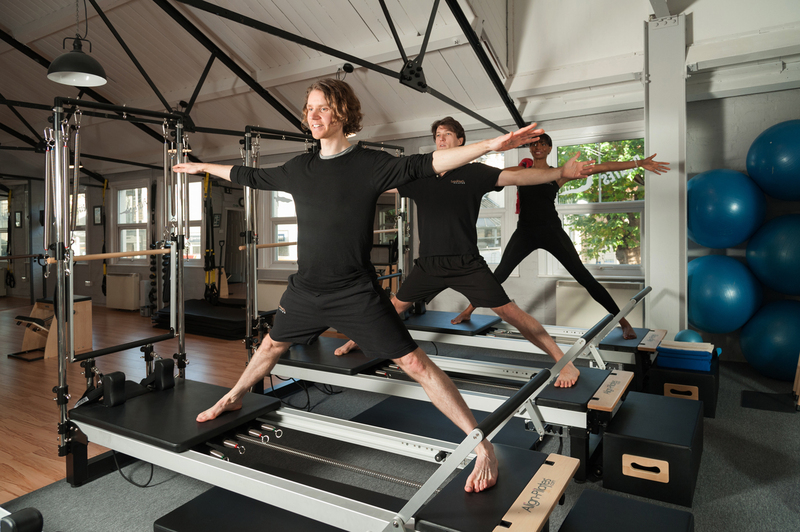 Up to 4 people using the reformer/tower. The reformer can be adjusted to suit your individual body shape, your personal ability to perform an exercise, your flexibility or strength. That class tones your muscles and strengthen your core, providing an invigorating total body workout. The reformer is converted to use the Tower portion. This allows us to use the roll down bar and push through bar found on the traditional Cadillac pilates apparatus. The whole body can be worked to create a leaner, stronger and more flexible body.